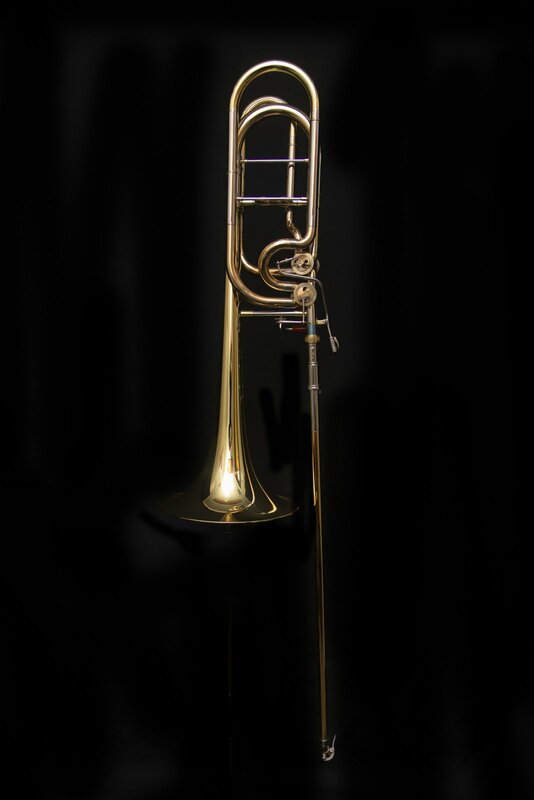 The Edwards B502-I-Y Bb/F/Gb/D Large Bore Independent Bass Trombone features an open wrap rotate valve, dual bore .562"/.578" landslide, 9.5" yellow brass bell, and patented harmonic bracing. B1, B2, and B3 brass lead pipes included. Manufacturer's Comments: Strive for a signature sound. The 502 gives you core in all registers, with breadth of sound when you need it. Look no further. Tested in the halls of Boston, NYC, and St. Louis with James Markey and Gerry Pagano, we know you will enjoy the results. Bridgepoint Music is an authorized Edwards dealer.